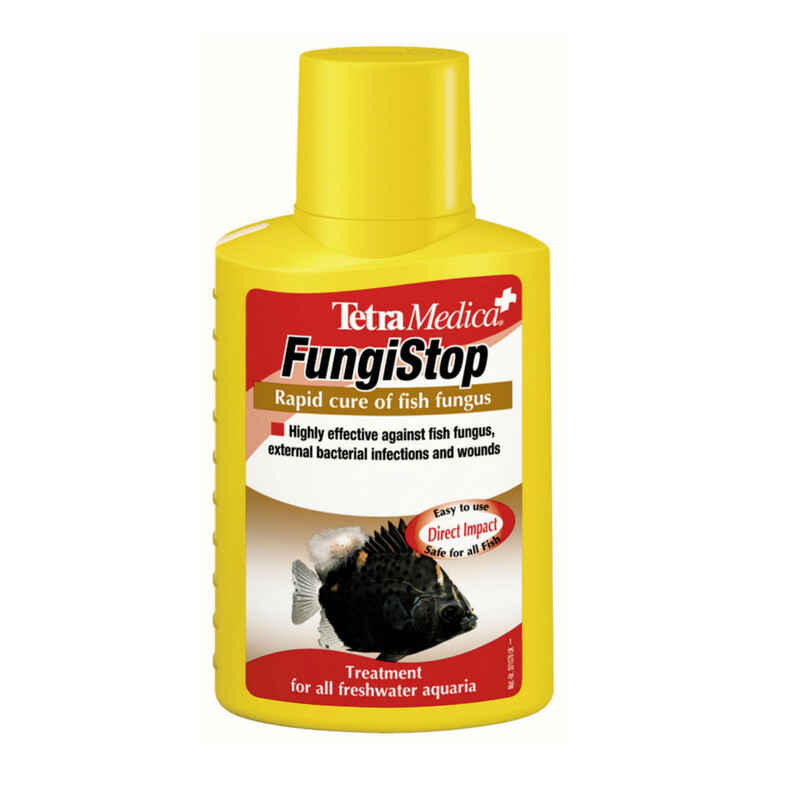 Tetra Aquarium Medica Fungistop is a highly effective treatment against fungal attacks on freshwater fish. Freshwater fish can develop a range of fungal and external bacteria diseases and wounds. From mouth decay and mouth rot to mucous membrane infections and wounds. Add 5ml per 20 litres 4.4 gallons of aquarium water. Treatment should be repeated at weekly intervals. Prior to redosing it is advisable to perform a partial water change using tap water conditioned with AquaSafe. 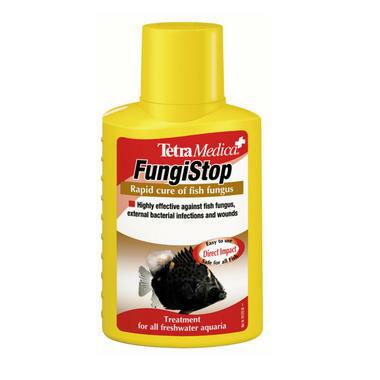 In addition to adding FungiStop we would recommend that you seek advice as to any possible underlying causes.